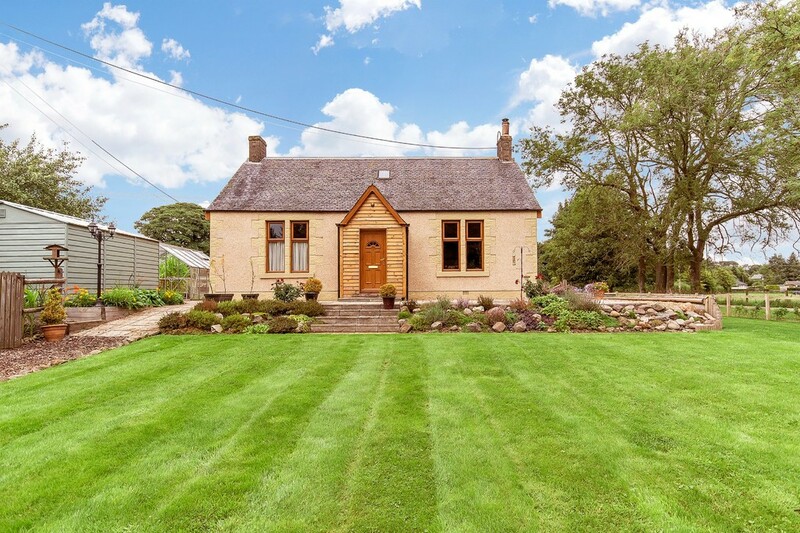 A unique opportunity to purchase a charming, beautifully presented, south facing traditional stone Cottage and adjacent Building Plot which has planning permission in place. 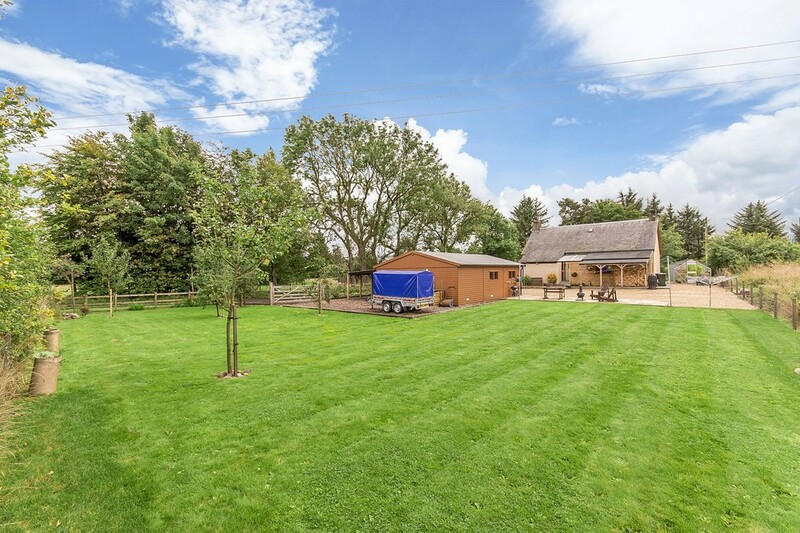 Set in the most idyllic location. 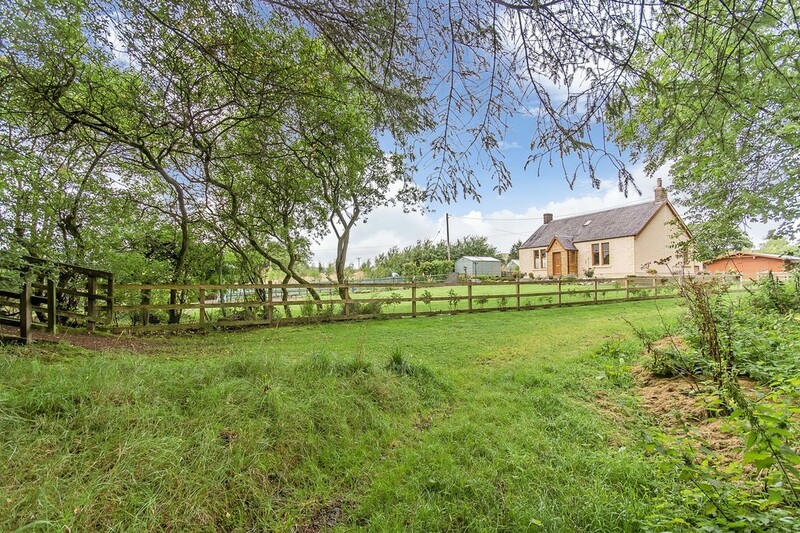 DESCRIPTION Looking for your rural idyll? Then look no further! 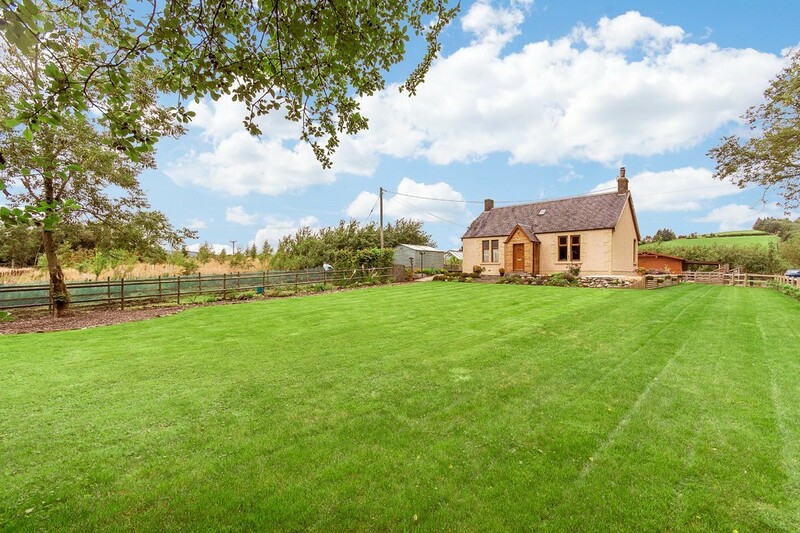 This is a unique opportunity to purchase a traditional south facing Country Cottage with an adjacent Building Plot, both set within an Acre of well kept, beautifully landscaped grounds. To be sold as a whole. St Thomas' Cottage has, in recent years, been restored to a high standard throughout and specialist works have been completed. 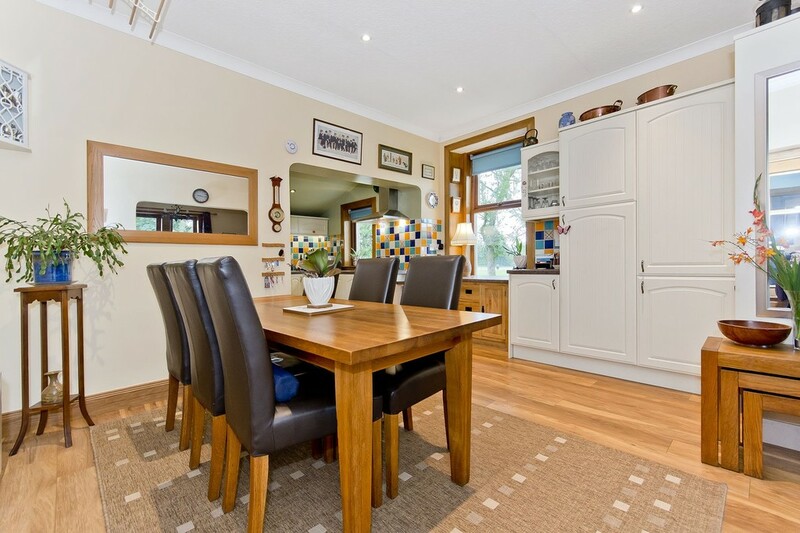 Completed upgrades include re-wiring, new glazing, new electric heating system, multi-fuel stove, new Kitchen, Bathroom, fitted Sharps wardrobe range and internal oak doors. 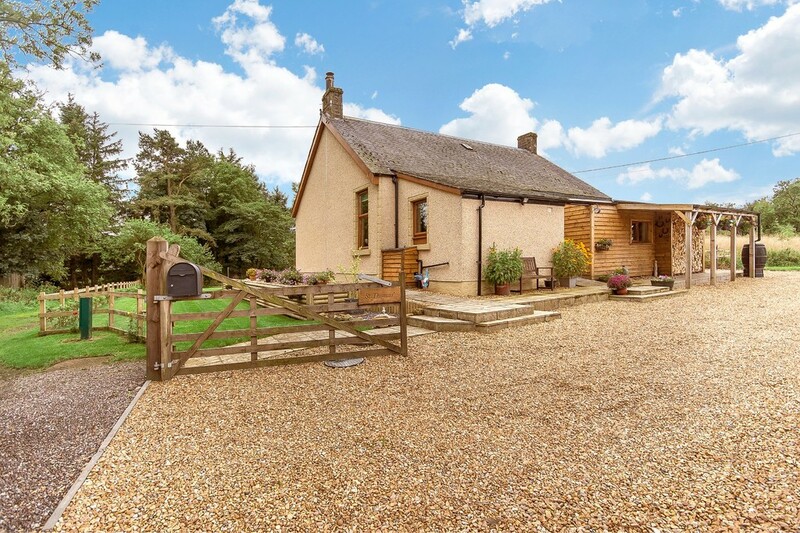 Set in the most idyllic location, the Cottage is not visible from the road and enjoys a good degree of privacy. Subject to the relevant consents, there is potential to convert the Attic area. 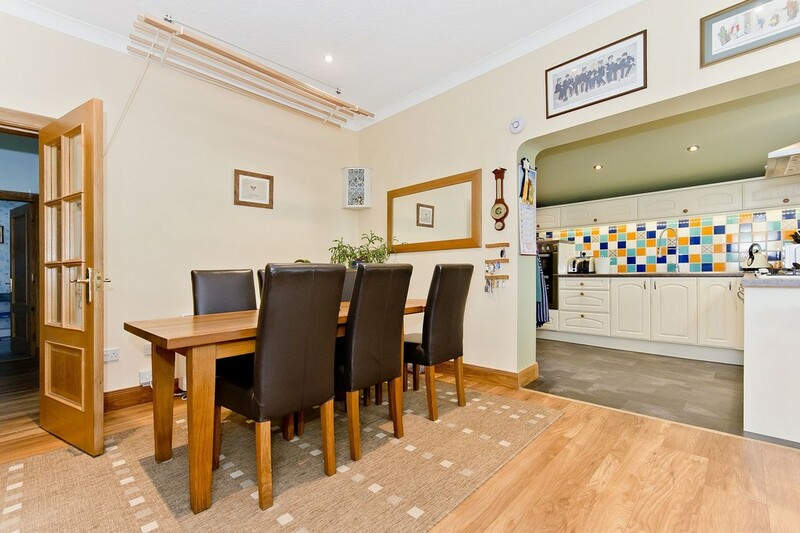 A quality composite Entrance door with leaded glass detail, leads to the heart of St Thomas' Cottage, the bright spacious open plan Kitchen / Breakfasting / Dining Room. 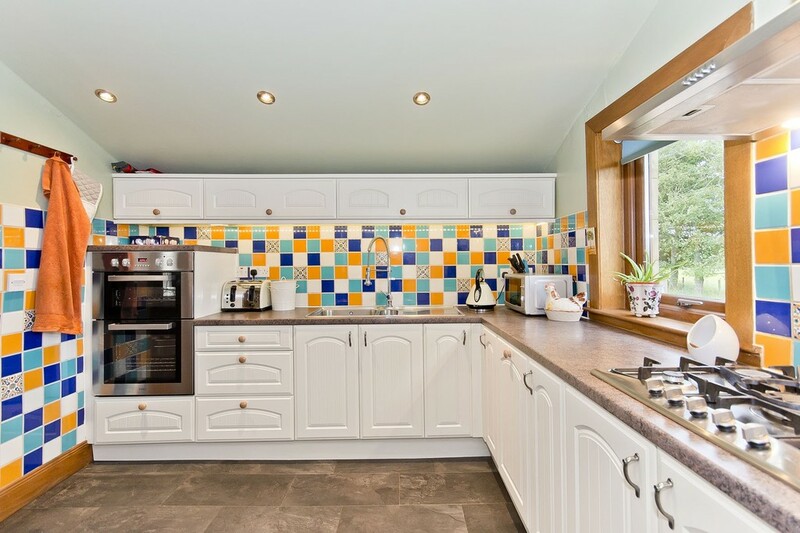 The Kitchen has a good range of cream base and wall units and Kitchen fittings / appliances include a 5 ring Gas Hob, double electric oven, stainless steel 1½ sink, slimline dishwasher, complementary worktops and Fired Earth tiled splash back areas. 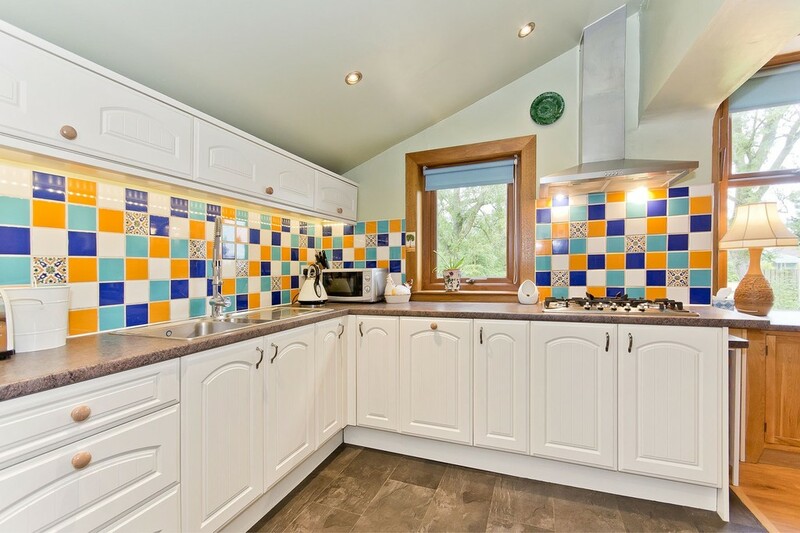 The range of Kitchen units continues into the Breakfasting / Dining area, where useful glazed and larder units can be found. This area can easily accommodate a large table and chairs. With views to the side of the property, there is a fitted under window oak cupboard. 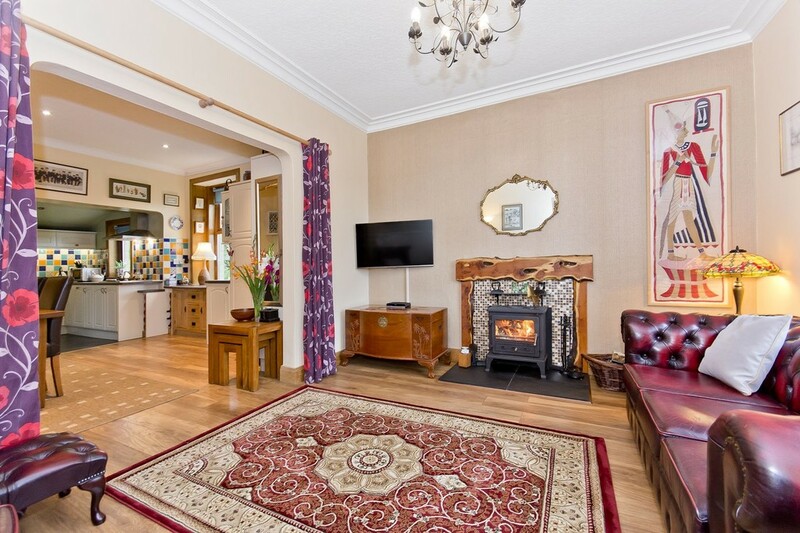 An open archway and laminate flooring seamlessly link through, to the Sitting Room. 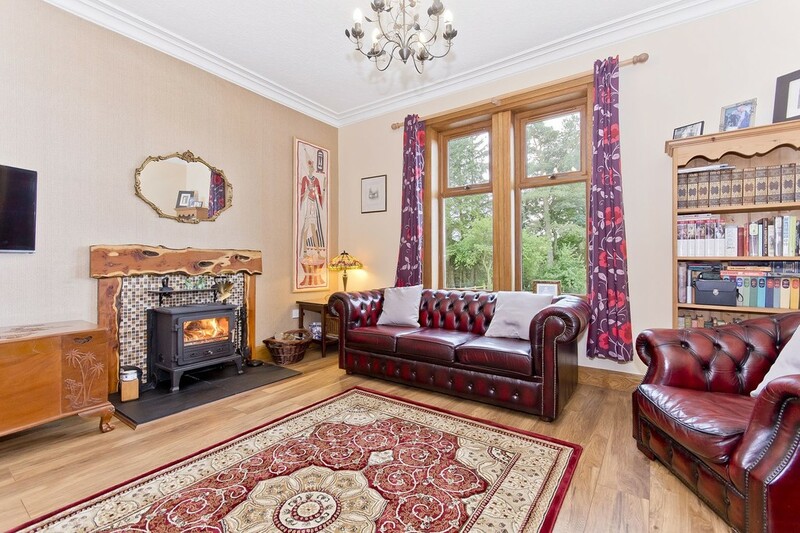 The focal point of the Sitting Room is the Fireplace with Firebox 8KW Multifuel Stove, Scottish Yew over mantle, tiled fire back and natural slate hearth. This south facing Sitting Room benefits from a high degree of natural light supplied by a double window arrangement to the front of the property. An L shaped Reception Hall leads to a traditional formal Entrance Vestibule, the Family Shower-Room and both Double Bedrooms. Access to the part boarded Attic area is also available in the Reception Hall. 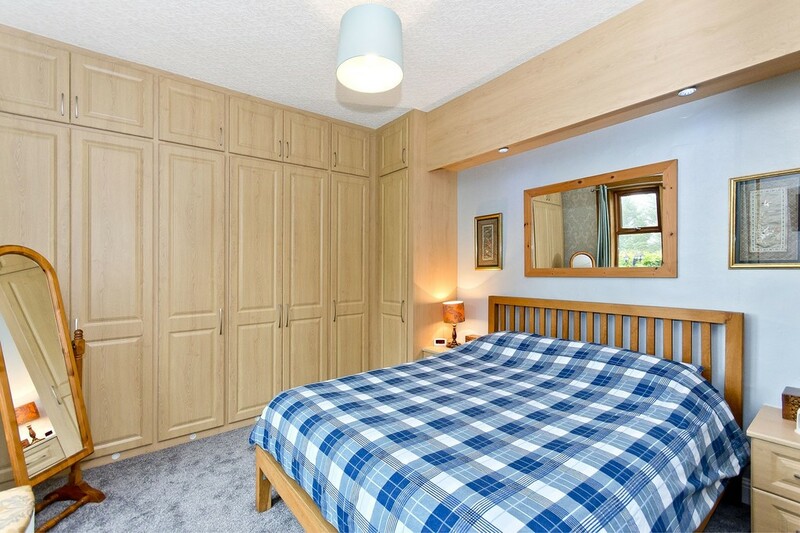 The Master Bedroom carpet has recently been replaced (Summer 2018) and an extensive range of Sharps fitted Bedroom furniture provides ample storage space. 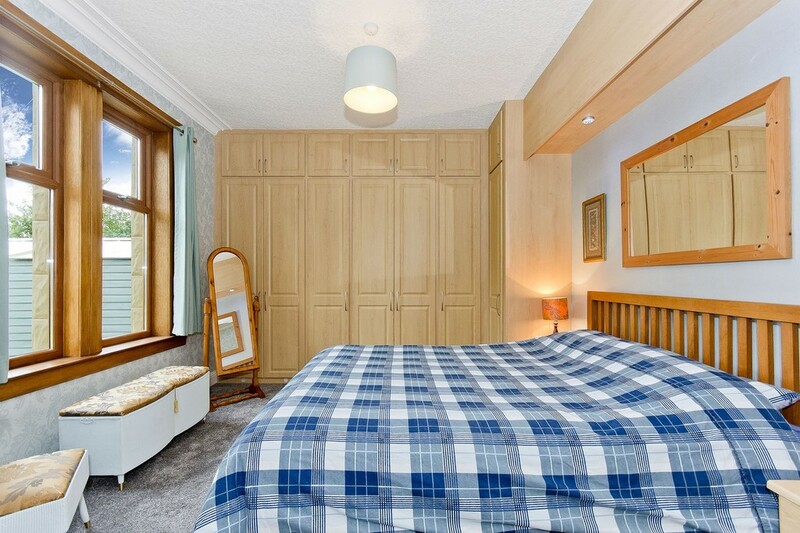 The Master Bedroom enjoys lovely south facing garden views. 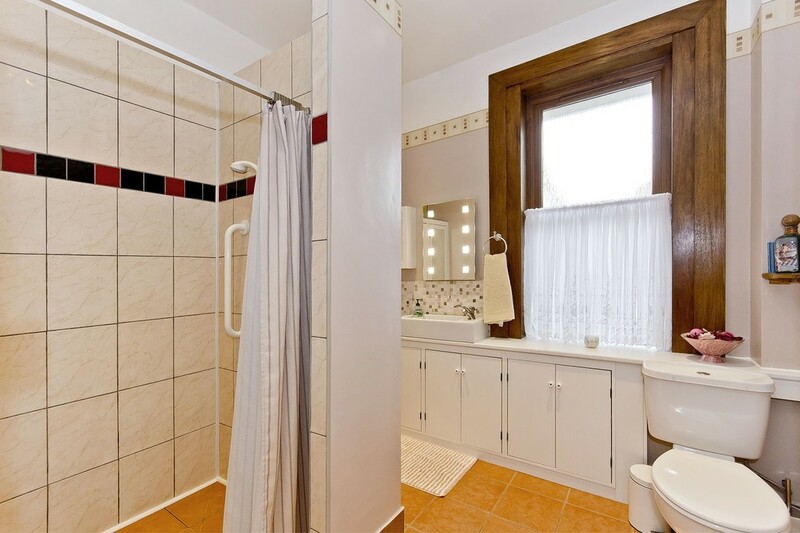 The Family Shower-Room has a low-level WC, wash hand basin within fitted vanity furniture and a Shower enclosure which is suitable for disabled use, with Mira Zest shower. 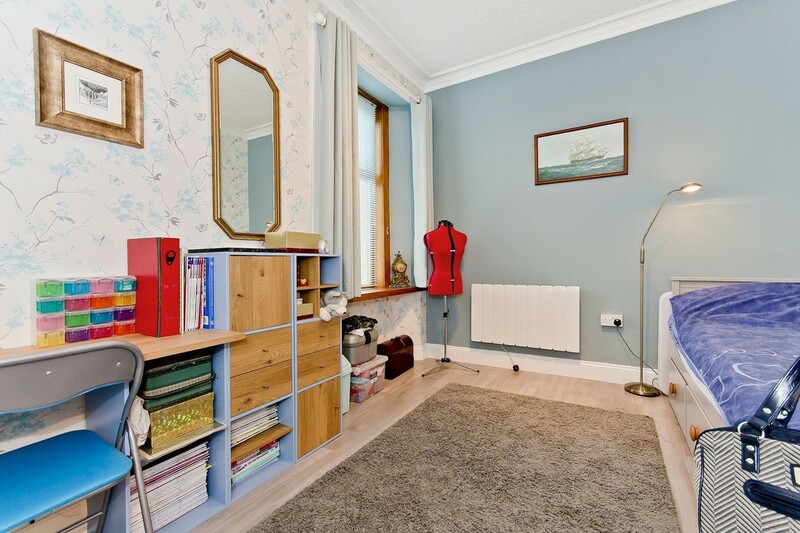 Bedroom 2 is a rear facing double Bedroom with driftwood laminate flooring and window to the rear garden. 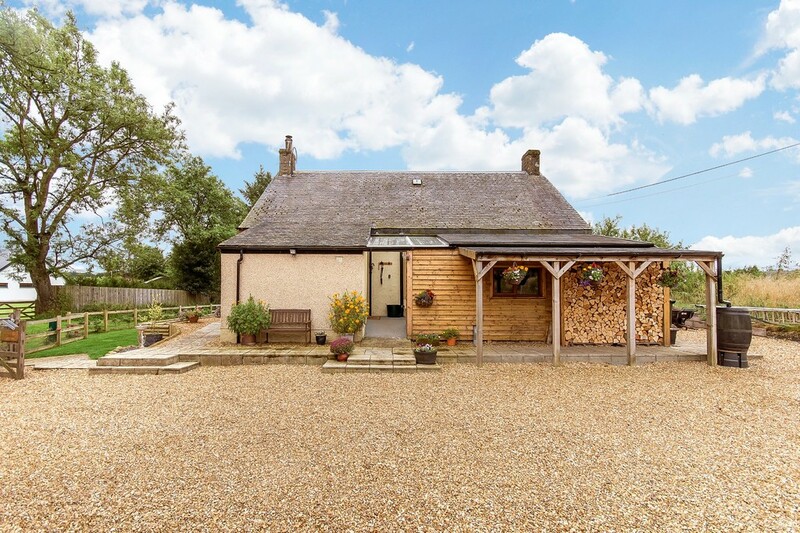 At the rear of the property, a converted outbuilding provides a good-sized Home Office, a Utility Area and conveniently located Garden toilet. The Home Office has a fixed desk and drawer set, with views of the garden. The Utility Area has base units, a stainless steel sink and under counter space for three freestanding appliances. 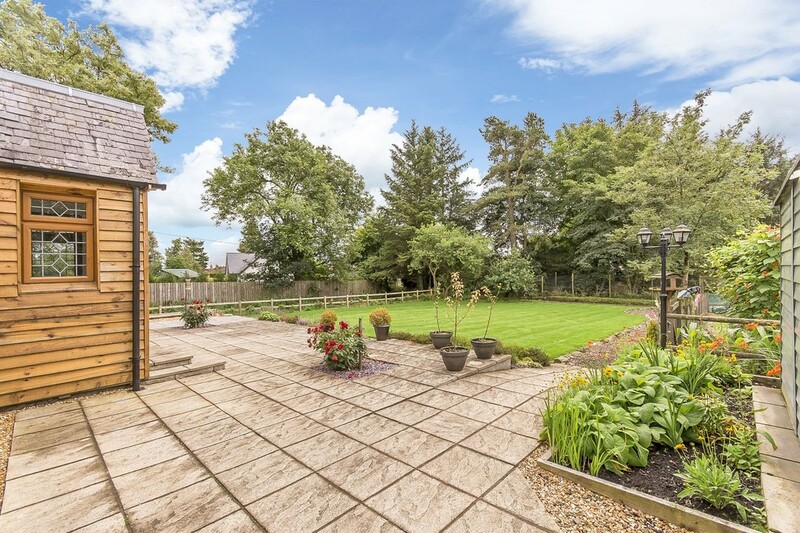 Externally, the property has an eight car plus gravel driveway and extensive impressive grounds with dedicated lawn, patio, barbecue, hen run and vegetable plot areas. 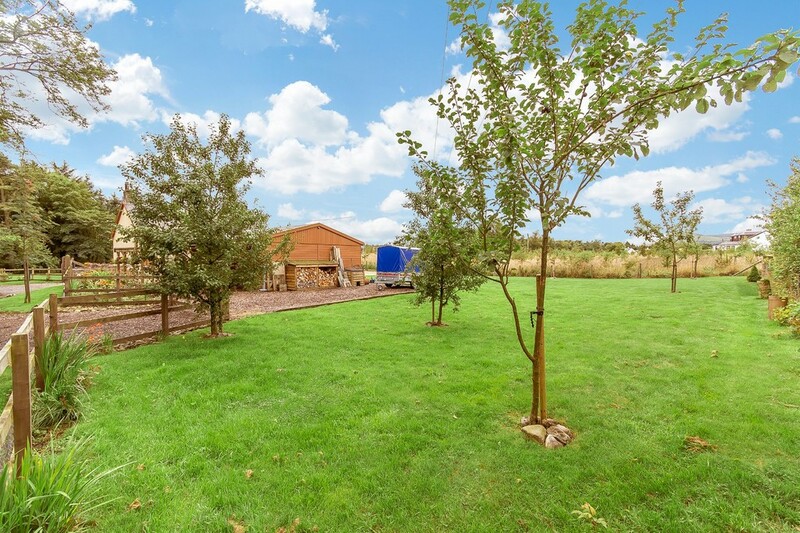 Outbuildings include a large timber garage with light, power and workshop area, a garden shed, glass greenhouse, large covered car port, coal bunker, two log stores and a hen house. Key to the sale of this property is the adjacent Building Plot. 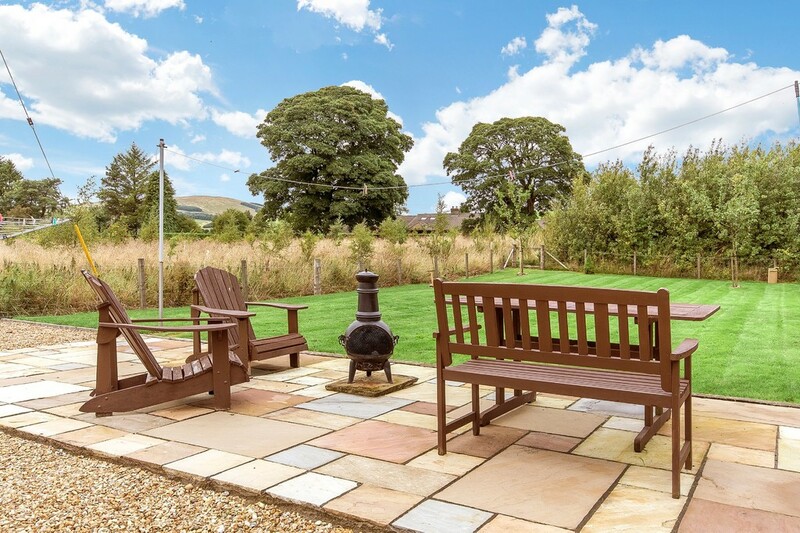 Located in the most northerly part of the garden, Outline Planning Permission (P&K Council Planning reference: 18/00966/IPL) is in place for a detached property. Access to the Plot has already been formed in preparation for the creation of a separate two car driveway. 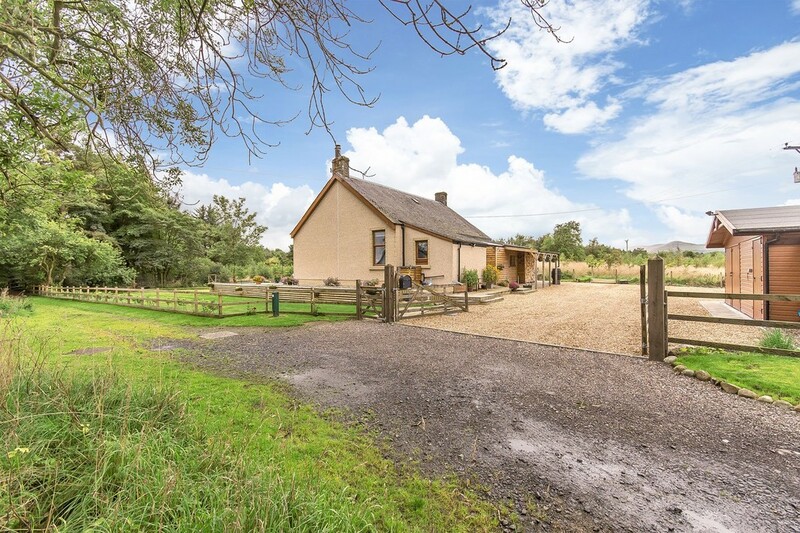 Any proposed property would have private vehicular access and would benefit from a rural outlook and impressive views to the Ochil Hills. Further details relating to the Building Plot are available from our Office. 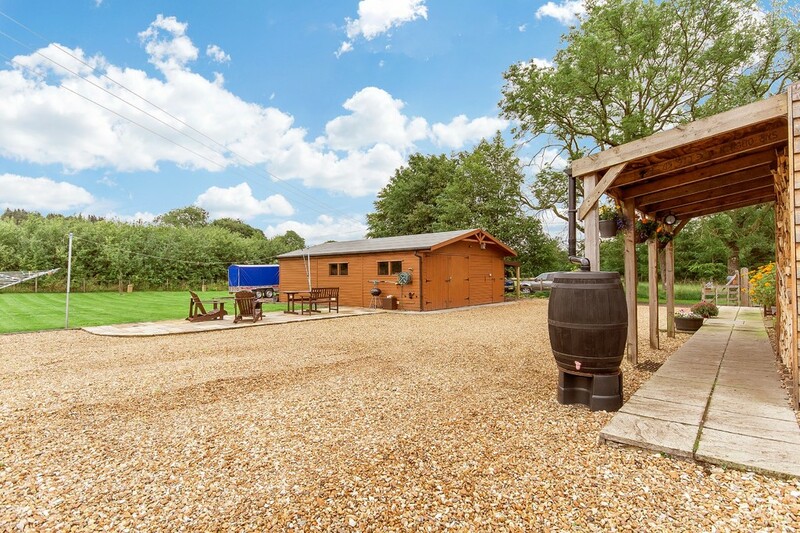 LOCATION Crook of Devon is a popular village offering good local amenities including a Village Inn, Post Office, Village Shop, busy Village Hall, garage and local Village School (Fossoway Primary School) with after school club. All these facilities are within a short walk of St Thomas' Cottage. 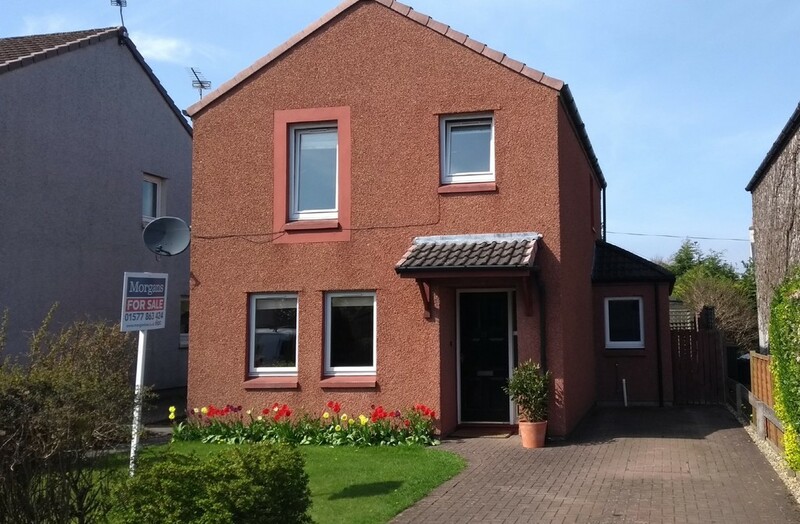 Supermarkets, banks and other High Street shops are available in nearby Kinross. Crook of Devon offers excellent commuter access via the M90, A91 and A977. Park and Ride facilities can be found in Kinross giving commuters easy access to cities including Edinburgh, Perth and Dundee. 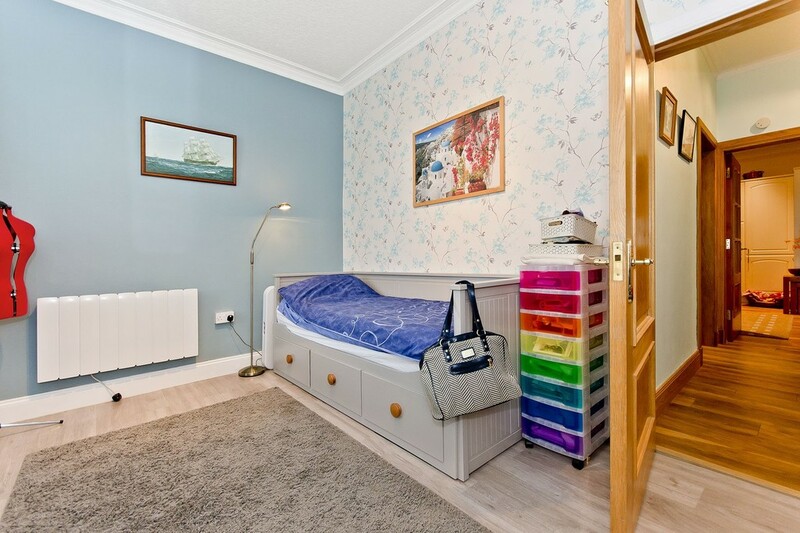 Public transport to Glasgow is available from Kincardine and the National Rail network can be found in Alloa and Cowdenbeath, equidistant from this property. Local residents are also able to access a Demand Responsive Transport Service (DRT1) operated by Perth & Kinross Council Public Transport Unit. 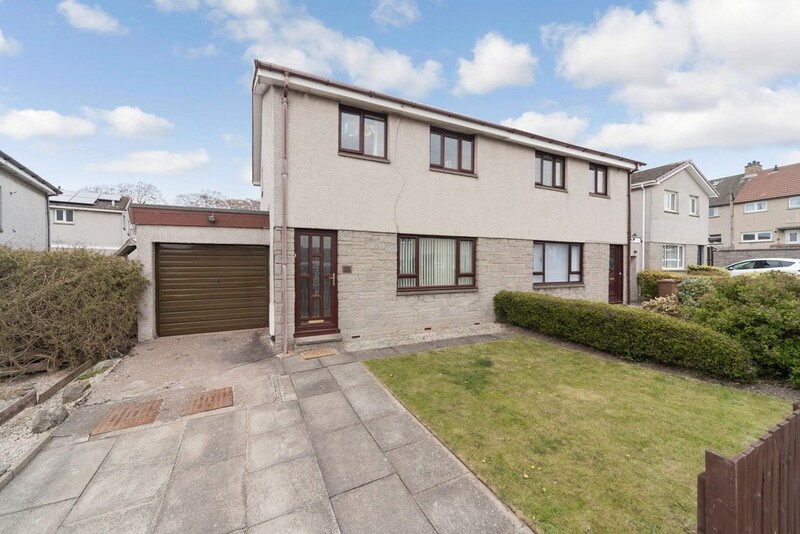 This property is within walking distance of Fossoway Primary School and pupils then feed into the highly-regarded Kinross High School, to be found within the Kinross Community Campus facilities (2009.) The Campus also houses the Kinross Library, Kinross Museum and has facilities including a dance studio, indoor climbing wall and gymnasium. Public swimming and squash courts are to be found at Loch Leven Leisure Centre, less than 100 metres from the Community Campus. 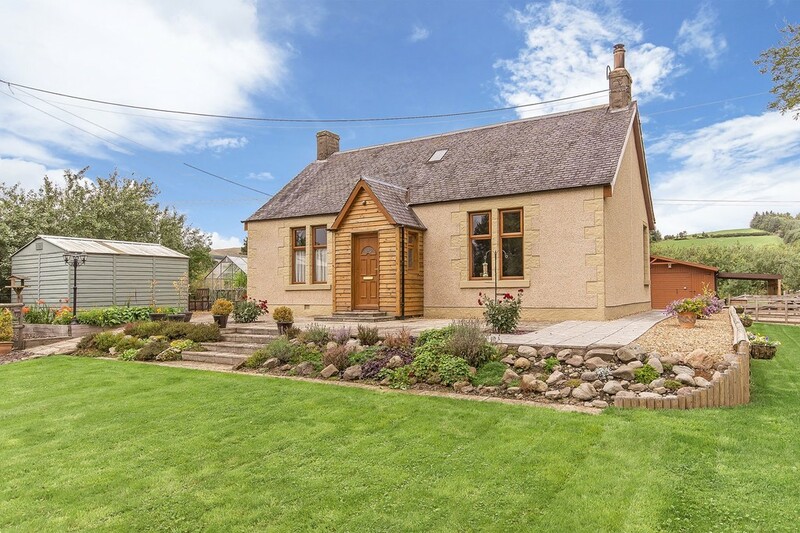 Private schools including Dollar Academy, Kilgraston, Glenalmond, Craigclowan and Strathallan are all within easy reach. Kinross-shire is an area of natural beauty and offers a wide range of recreational and leisure pursuits including the Loch Leven Heritage Trail, RSPB Loch Leven and Loch Leven Castle. A Core Path Network is partially complete, linking many rural villages to pedestrian and cycling friendly routes. The area if famous for its numerous Golf courses while an all-weather pitch at the Campus provides opportunities to participate in alternative sports all year round. Sports Clubs in the area include Tennis, Bowling, Curling, Cricket, Rugby, Cycling and Swimming to name but a few. For outdoor lovers, within a short distance from St Thomas' Cottage there is access to walking and cycling friendly routes, including the circular Millenium Walk which links Crook of Devon to Rumbling Bridge. 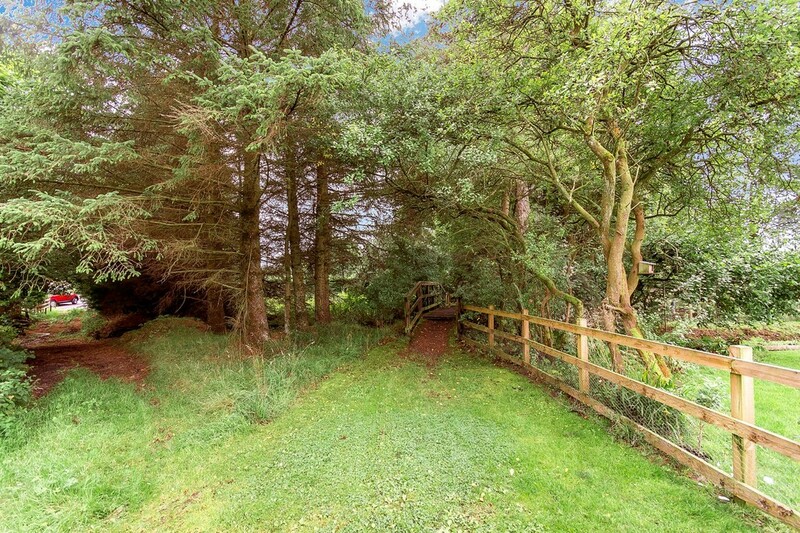 Additional country paths link to Muckhart and Cleish, with many websites highlighting the outstanding natural beauty of the area. 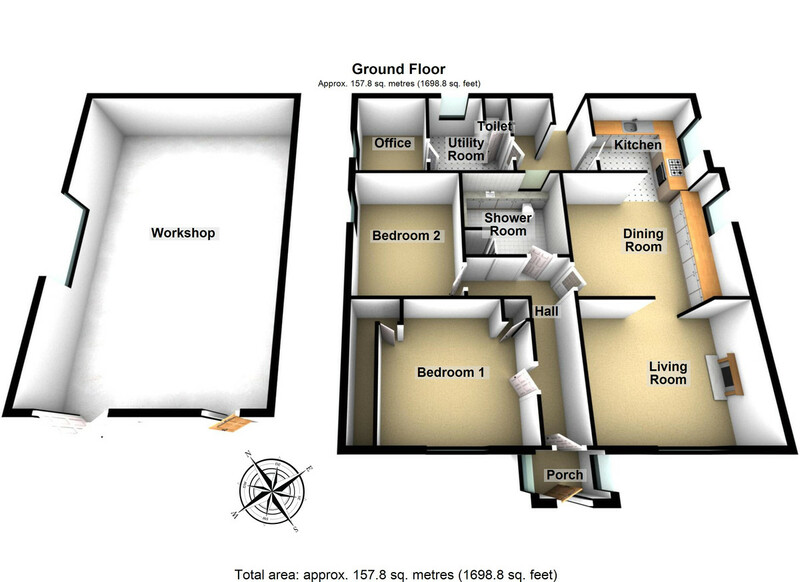 EXTRAS INCLUDED All floor coverings, blinds, bathroom and light fittings together with integrated appliances. TRAVEL DIRECTIONS From the A977, in Drum, take the Yett's of Muckhart Road. Take the first turning on the left onto what is locally called The Back Crook (20 MPH area). After about 100 metres, on the right hand side, you will see a white Cottage. At that Cottage, take the left track which is opposite. St Thomas' Cottage can be found on the right hand side.